It’s been almost a year since joining the International Federation of Library Associations and Institutions (short: IFLA). At the same time, I became member of the IFLAPARL community, the dedicated IFLA section for Library and Research Services for Parliaments. Overall a valuable and rewarding experience! The increasing demand for information naturally leads to open data. Open data concepts may take many forms and a particularly interesting one has to do with the use of certain legal document standards for the specification of parliamentary/ legislative documents. See, for instance, the Akoma Ntoso XML schema and the OASIS LegalDocumentML Technical Committee. PLS is a rather novel concept, but is being intensively studied. Several parliaments implement PLS and a set of principles and good practices have been already recognized. If parliaments get it right, PLS has the potential to gradually become a stand-alone parliamentary function. The making of strategic plans per se is nothing new, but their development (and consequent implementation) in the institutional framework of parliaments needs to be carefully planned. In a dedicated session, parliamentary research services could be invited to discuss the challenges they faced during development and implementation of such plans. The development of a set of guidelines could also be considered. The above topics may complement the broader discussion for a code of ethics for parliamentary research service​s. Additional areas of interest include data visualization and how to deal with increased demand. 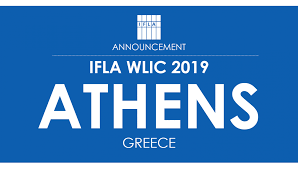 To conclude, do not miss the IFLA WLIC 2019 conference in Athens. It will surely become an unforgettable and thought-provoking experience for every participant!